Annie Morhauser fell in love with the beauty of glass when she first saw it being blown by an artisan at the beach under a full moon over 35 years ago. She graduated from California College of the Arts with training in a range of glass techniques, but it was developing her own version of the ancient glass forming process, called slumping, in the '80s that marked the beginning of Annieglass. 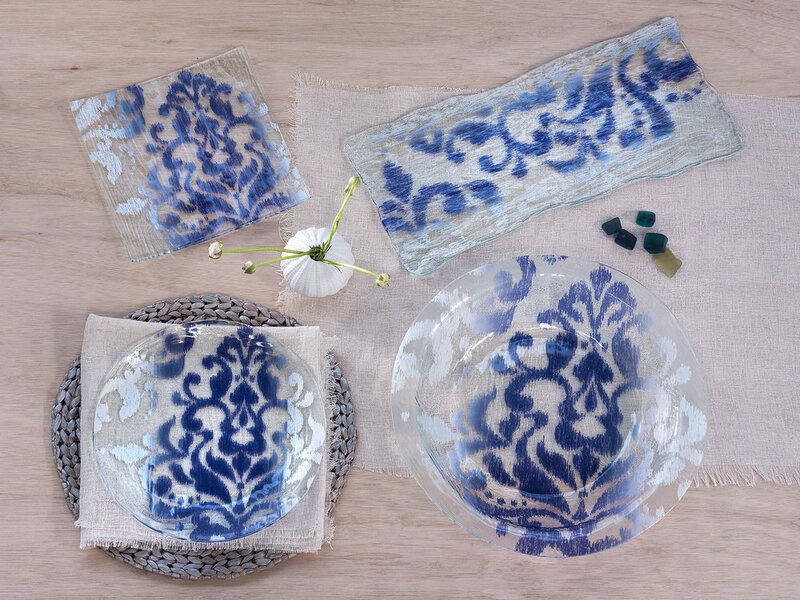 Twice a year, Annie introduces new collections and extensions to existing ones.Inspirations are often Annie's interpretations of her surroundings—the fantastic natural beauty of the Monterey Bay region and Santa Cruz Mountains, travel, science or history. 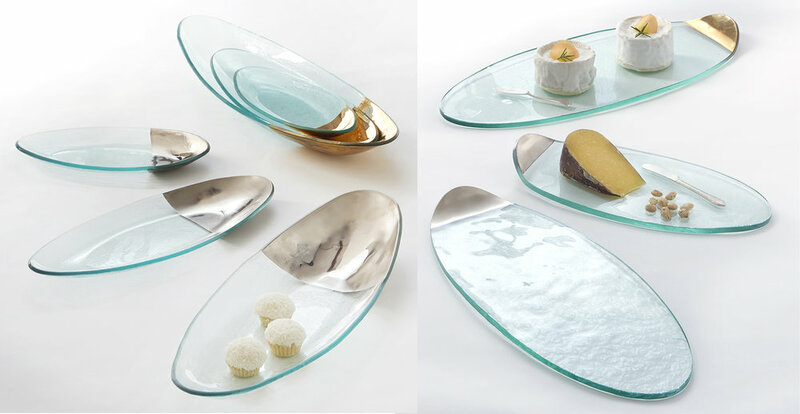 Her design process is ongoing, experimenting in new ways with materials and technologies, often blending time-honored handcraft with modern innovations, or inventing her own methods to create the beauty of Annieglass alongside her talented team of artisans. 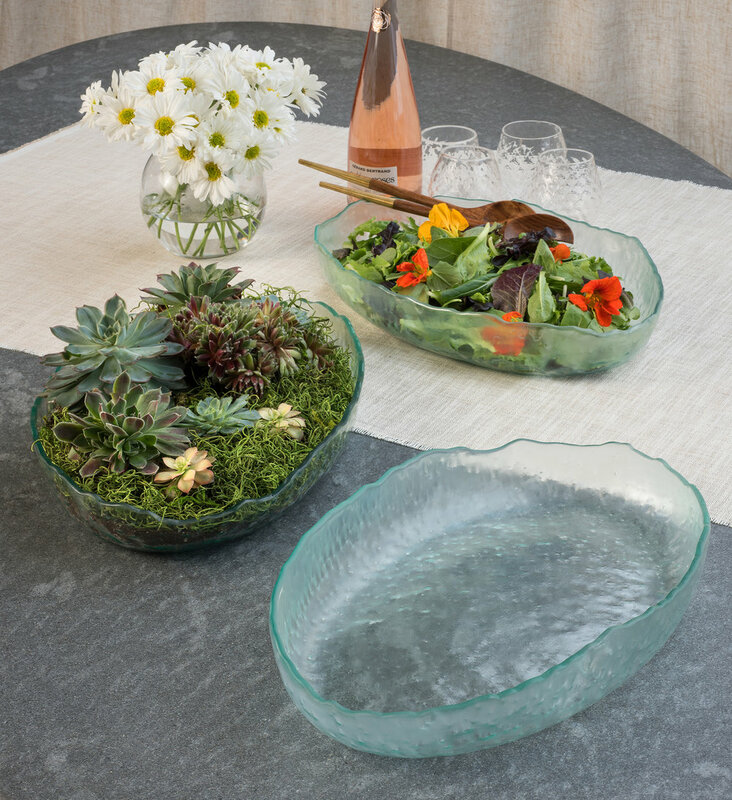 Annie’s most innovative new product to date, The Elements collection of thickly cut organically shaped trivets and appetizer trays are made entirely from recycled Annieglass scrap in a revolutionary new way. Combining ancient glass making techniques with modern technology, Annie has applied for a patent for her ingenious solution for recycled glass. Two pieces from the Annieglass Shells Collection, Coquina and Tiburon, can be found on permanent display in the Luce Foundation Collection of American Craft at the Smithsonian American Art Museum in Washington, D.C.
We have raised over $100,000 for children’s cancer services (Jacob’s Heart). Annie has helped to raise over a million dollars for Second Harvest Food Bank (Feed America)serving as co-chair for holiday food drives. By funding Digital Nest programs, local under served youth have access to comprehensive technological training and career mentoring. “Giving away Annieglass for fundraising or donating money to worthwhile causes has been one of the best parts of running my own business. Offering others, the opportunities I had is its own reward”. Every day we donate to a charity for education,the arts or a charity that benefits children.